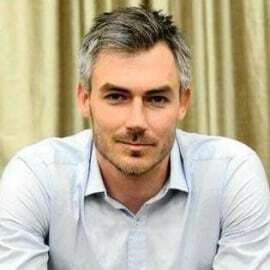 Tim Harris CEO of Wesgro, the official tourism, trade and investment promotion agency for the Western Cape is a South African politician, a former Democratic Alliance member of the National Assembly, and a Parliamentary Counsellor to Mmusi Maimane, the Leader of the Opposition. He served as Shadow Minister of Finance from 2012 to 2014, and was succeeded by Dion George. A former chief of staff to party leader Tony Leon, Harris was the party's national events manager during the 2009 general election campaign, and was subsequently elected to Parliament aged 29, initially to the National Council of Provinces where he served as the Western Cape's Provincial Whip before being moved to the National Assembly in a Shadow Cabinet reshuffle.